Delivery from £15.57 to United Kingdom in 6 - 10 working days. Handmade in Athens by skilled artisans. 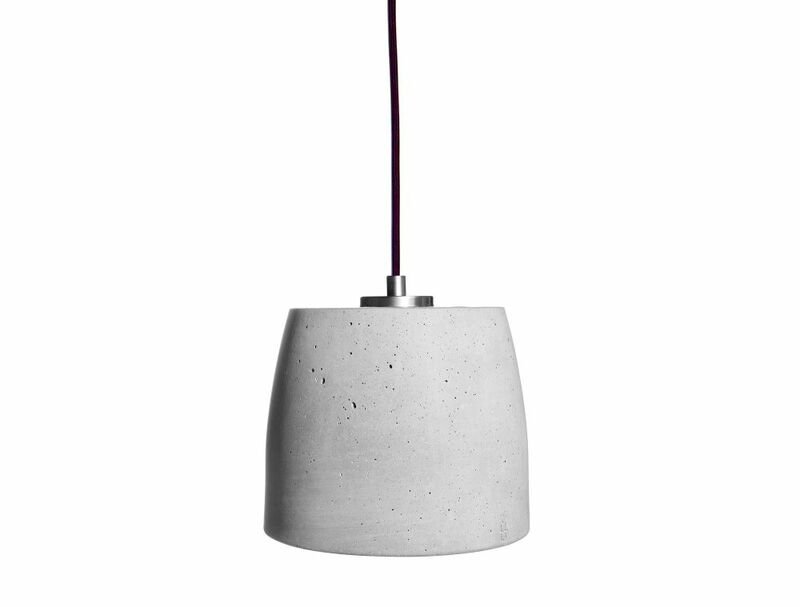 CALIX 18 is handmade by cast concrete. Design by Urbi et Orbi studio in 2013. The production becomes at our laboratory in Athens by Greek artisans. For the casting we use thermoplastic molds which ensures the stability of the product’s dimensions and thickness. Concrete is an extremely durable material, hence can be widely used in many applications. The raw material that we use at URBI ET ORBI is internationally acknowledged and environmentally as well as human-friendly. It is a unique reinforced mixture of cement, additives enhancers and special aggregates.which ensures the highest quality. The sockets, and the cables we use, are fabricated with European specifications CE. This lamp comes in grey colour and textile cable which colour is black , 2 m long. Every piece may appears with color tone variants at its surface, as also between the pieces or the sample.Concrete surface displays several air holes.This is a natural characteristic of concrete.